Classes for all ages, abilities and levels. We are a United States Aikido Federation Dojo, under the direction of Yoshimitsu Yamada Shihan (direct student of O'Sensei Morehei Ueshiba), and welcome students from any Aikido style to train with us. See you on the mat! Our classes offer professional instruction in a positive and safe environment. We use vinyl tatami matting and a floating floor system, which assists in injury prevention. Our Aikido practice follows the traditional style of Aikikai and we are proud to have our instructors ranked by the Aikido World Headquarters, Hombu Dojo, in Tokyo, Japan. When you enter our dojo, you will be greeted by friendly practitioners of Aikido, who will be happy to train with you, regardless of your level. We have great respect for Aikido, practice consistently and hope to spread the feeling of harmony and connection to nature and to others through our training. In this way, we hope to be a part of the realization of O'Sensei Ueshiba's vision of spreading the love of Aikido throughout the world. 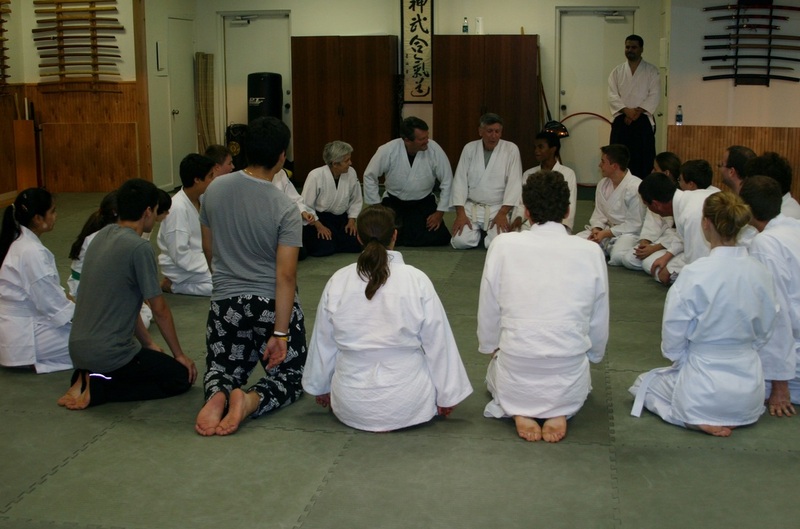 Our Adult Aikido Program is $85.00/month with no contract. There is a one-time registration fee of $25 for an individual, $35 for family upon registration. If you wish to become a member of the United States Aikido Federation (USAF), there is an additional membership fee of $45 annually, but this is not required to train at our dojo.